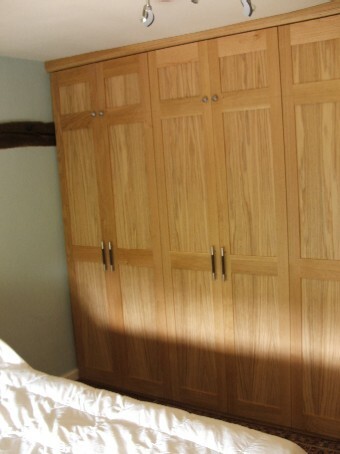 This piece of fitted furniture in a natural oak finish was made for clients with very little tollerance in the available space. The clothes and accessories required a set amount of room with very little to spare. Features include imitation top doors with extending knobs for temporary hanging of suits, tie and belt racks on the inside of the doors and slatted shoe racks. 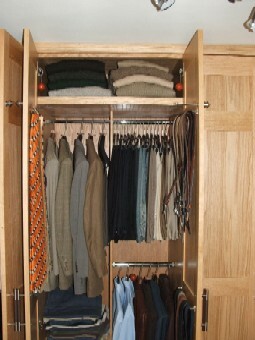 Find out more or to see more pictures of this wardrobe phone the workshop on 01580 830667.